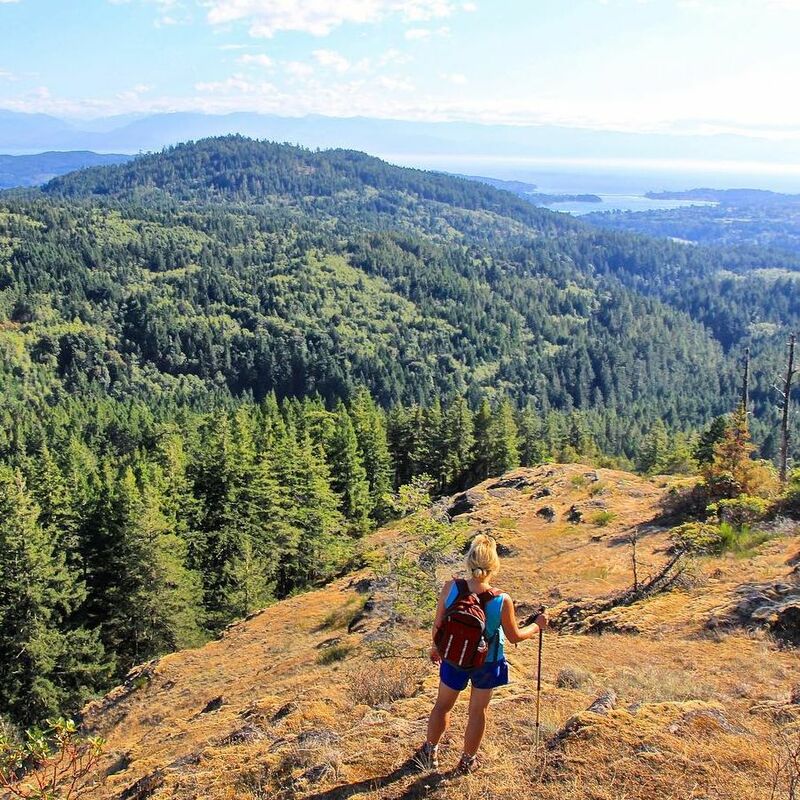 In 1997, a ten-year campaign to Save the Sooke Hills culminated in overwhelming public, political and scientific support for the creation of the Sooke Hills Wilderness Regional Park. This park buffers the source of our pristine drinking water supply and preserves a vast area of maturing Douglas-fir forest, spectacular hilltop meadows, wetlands and lush stream valleys. The 4000 hectare Park sustains biodiversity, sequesters carbon and provides critical habitat for many threatened endemic species. It is a significant component of the Sea to Sea Green Blue Belt, linking Saanich Inlet in the east to Juan de Fuca Strait in the west. So why on earth would the provincial government plan an 'alternative emergency route' to the existing Malahat highway, straight through the heart of the Sooke Hills Wilderness Regional Park?! There has been no public consultation regarding this dubious project nor any dialogue with First Nations publicly reported to date. While concerns about delays along the Malahat should be addressed, this should not be used as a pretext for land grabs by developers keen on building a highway to fuel suburban sprawl through publicly-protected lands. In the midst of global climate emergency and loss of biodiversity, building or expanding roadways and opening the Sooke Hills up to developers is totally misguided. We need you to attend and speak at two important meetings. insist that the BC Government fix the transportation problem with solutions that are aligned with urgent UN calls to reduce our greenhouse gas emissions and increase protected areas to safeguard biodiversity. These do not include building more highways for single occupancy vehicles and destroying the integrity of our region's most progressive parks initiative. (For some reason, the Water Supply Commission meeting is not identified in the list of meetings, but it shows up in PDF of the schedule of February meetings on the right-hand side of the page). You must sign up to speak! The CRD hasn't updated the online form since two committees merged - Regional Parks and Environmental Services -- now called the Parks and Environment Committee, so select "Regional Parks Committee" for Feb. 27. The email addresses are located below for easy copying and pasting into your message. Next, please take one more minute to sign our petition HERE. Hands up in gratitude to everyone who steps up to defend the last remaining tracts of wilderness on the south part of this island! Copyright © 2019 Social Environmental Alliance, All rights reserved.